Nielsen did a huge survey earlier this year where they asked 30,000 viewers worldwide questions about how they view video content. The responses show how quickly people are changing their viewing habits in response to the proliferation of new options. Even as recently as a little more than a decade ago, options to view video other than at the scheduled broadcast time time were rare. I was an early adapter to TiVo and got my first set in 2000. At that time almost nobody watched TV on a time-delayed basis. But TiVo let me watch things on my own time schedule and I quickly invested in a CD burner that would let me capture content from the relatively small TiVo hard drive to further expand my options to watch on a time delay. The cable companies responded to TiVo by introducing video on demand, which provided watch-anytime capabilities to a subset of their programming. I am probably somewhat unusual in that I can’t recall as an adult having ever watched a network TV series by watching at the scheduled time. I just have never been able to structure my life in that manner (or even remember what day of the week it is). But today we have a huge array of options and this survey shows that people are using them. We can, of course, still watch TV live and sit and surf the channels. But the cable company video on demand offerings are much larger than in the past. The large cable companies and networks have also provided on-line delayed viewing for most of their popular content that is available with a cable subscription. There are the huge libraries of content at Netflix, Amazon Prime, and other streaming services. There is some pretty decent content today being produced only for the Web, along with an absolute mountain of content on YouTube. And for those willing to hunt, there are huge piles of older movies, newsreels, and offbeat content all over the web. Only 48% of people now prefer to watch video live. This means that the shift to time-delayed viewing is now the predominant way of viewing video. A gigantic 63% of people say that time-shifted viewing best fits their personal schedules. Only 51% think that the big screen TV is the best device for watching video. This is a pretty amazing shift that says that people not only have gotten used to watching video on computers, tablets, and smartphones, but a lot of them now find those alternatives to be their favorite way to watch video. 37% now finding watching video on their cellphone to be ‘convenient’. Another 37% say that a tablet is as good of an alternative as a television screen or a computer. 58% of people like to catch up on content through binge viewing and watching more than one episode at a time. 21% of people are more likely to watch content that has a social media tie-in. The survey also shows that the type of content affects which device we use. People still prefer the television when watching live news, documentaries, comedies, and dramas. But less than half of viewers choose the television screen to watch reality TV shows. And almost nobody uses a TV screen to watch short videos under 10 minutes in length. Probably the most interesting phenomenon is that the choice of multiple screens is killing off the once-powerful social impact of watching television with others. I remember the days when the whole family sat around in the evening watching whatever happened to be on (since we could only get three networks that wasn’t a big choice). But this survey shows that 65% of viewers now watch video alone. I know that my wife and I share almost no common interests among the things we watch, and we routinely watch different things at the same time. This shift is certainly still not over. 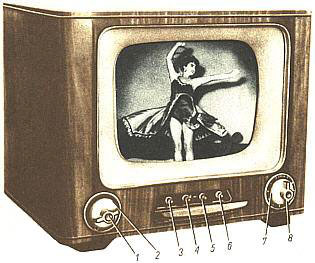 I still have many older relatives who only watch traditional TV on the screen as it is broadcast. But just about the opposite is true of young viewers and they have largely abandoned the big TV screen except perhaps as background noise while they are multi-tasking on their phones. The one place where these shifts ought to soon have a huge impact is TV advertising. With over half of all viewers now watching content on a time-delayed basis the traditional advertising model is quickly dying. Surprisingly, TV advertising spending is only slightly down this year, but it won’t be surprising one coming year to see a huge fall-off in TV advertising spending. It seems a waste to pay to advertise where fewer and fewer of us are viewing.